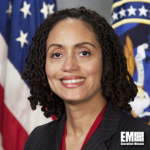 Stacey Dixon, newly appointed director of the Intelligence Advanced Research Projects Activity, has said leveraging machine learning capabilities will help the intelligence community predict cyber attacks, Fifth Domain reported Thursday. Dixon noted in an Intelligence Matters podcast that IARPA has procured predictive analytics programs that use physical or analytical indicators to determine if an entity has a weak cybersecurity posture. A few of the predictive technologies include an automated system that monitors the online presence of malicious actors and cybersecurity officers, while another analyzes historical cyber attack data. The IARPA head also said that there is a need to lower the sensitivity of predictive tools to continue providing credible information on possible cyber attacks. She added that showing the decision-making process of predictive models will help analysts trust the information being presented to them. Dixon accepted her new position in IARPA on Wednesday, bringing with her over 15 years worth of experience in the IC. She previously worked as the agency’s deputy director for two years.